Group 18 elements (Noble Gases) exist as monoatom in nature. They are inert in nature and do not react with any other elements (or themselves) to form any chemical compounds. In other words, they are chemically very stable (or chemically very non-reactive). The charge on the nucleus and the number of electrons in the valence shell determine the chemical properties of an atom. The stability of noble gas is due to their electrons arrangement. The diagram above shows the first four elements of Noble Gas. We can see that the outer most shell (valence shell) of Helium has 2 electrons. We call this duplet electron arrangement. The maximum number of electrons can be filled in the first shell is 2 electrons, which means 2 electrons in the first shell is considered FULL. 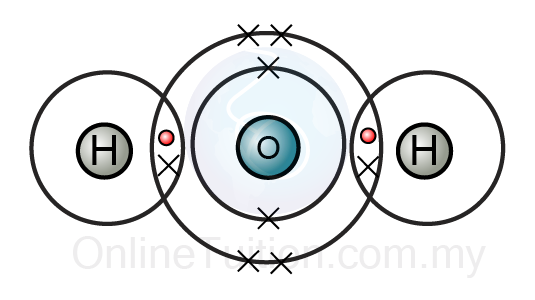 The valence shell all other Group 18 elements (including Xenon and Radon which is not shown in the diagram) has 8 electrons, and we call this octet electron arrangement. When the electron arrangement of an atom is duplet or octet, the energy of the electrons is very low, and it is very difficult (even though it is not impossible) to add or remove electrons from the atom. This explains why noble gases are reluctant to react with all other elements. Atoms of other main group elements which are not octet tend to react with other atoms in various ways to achieve the octet. 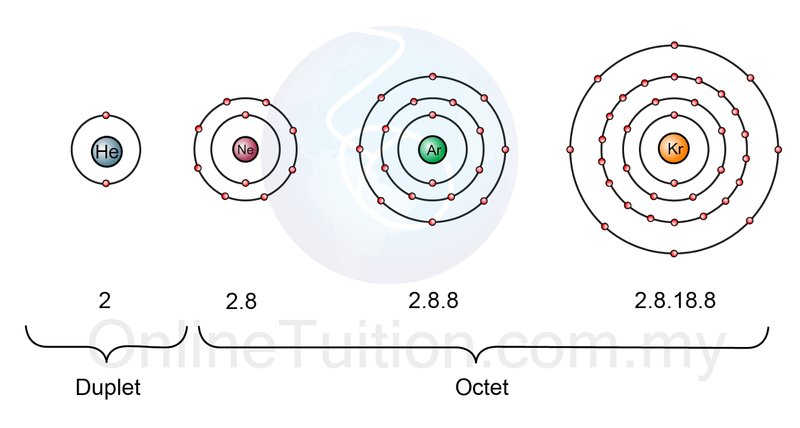 The tendency of an atom to achieve an octet arrangement of electrons in the outermost shell is called the octet rule. 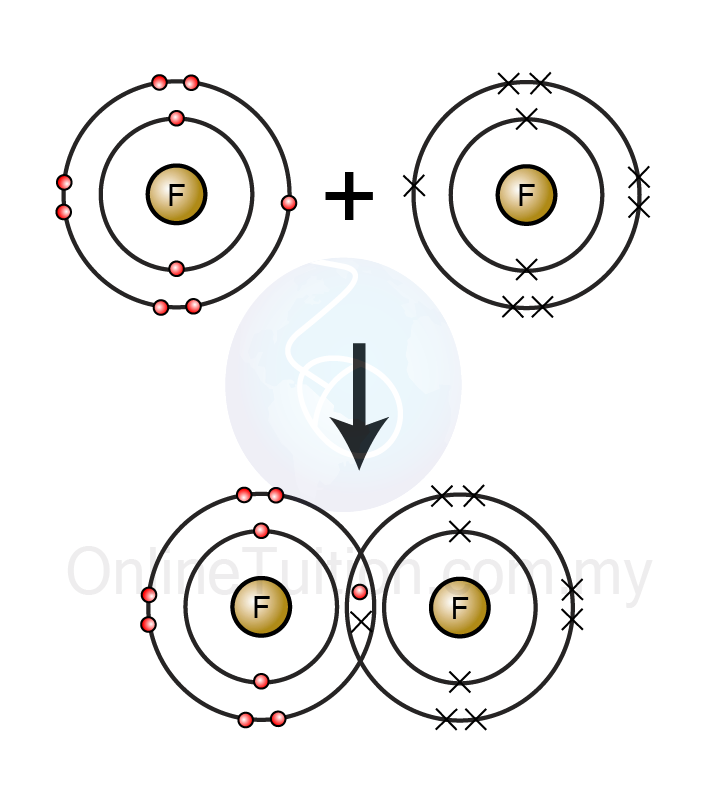 If the outermost shell is the first shell, then the maximum number of electrons is two, and the most stable electron arrangement will be duplet. A configuration of two electrons in the first shell, with no other shells occupied by electrons, is as stable as the octet electron arrangement and therefore is also said to obey the octet rule. How Atoms Achieve Duplet or Octet Electron Arrangement? By releasing or receiving electron(s), the atoms will become ions and consequently form ionic bond between the ions. Ionic bonds are always formed between metal and non-metal. For example, sodium (metal) react with chlorine (non-metal) will form an ionic bond between sodium ion and chloride ion. The compounds formed are called the ionic compounds. Some time, an ionic bond is also called electrovalent bond. By sharing electron(s), the atoms will form covalent bond between the atom and the molecule formed is called the covalent molecule. Covalent bond is always formed between non-metal with another non-metal.